Cheap but good guest house on Ko Chang. 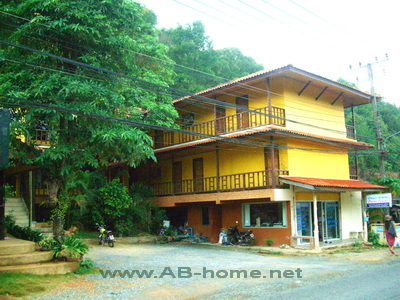 The Mai Pen Rai Guest House in Kai Bae offers cheap budget accommodation on Koh Chang. The clean rooms and the closeness to the beach and Kai Bae village make Mai Pen Lai to a good travel accommodation in Thailand. The shops and restaurants around the guesthouse serve delicious meals at reasonable prices. The Koh Chang walking street is just 100 meter away and is a good location for going out in the evening. Mai Pen Rai Koh Chang are the perfect place if you travel on budget through Thailand but don’t want to miss comfy and friendly accommodation with air condition and a balcony with mountain view. Click here to book Koh Chang accommodation.